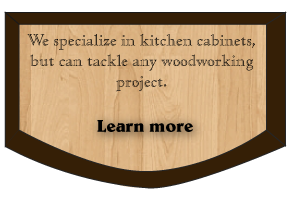 Install beautifully hand-crafted cabinets in your kitchen with the help of Hans Bieri Custom Woodwork. Located in Lundar, we’re a licensed cabinet maker, offering a wide range of products from kitchen cabinets and cupboards to vanities and entertainment units. We work both residential and commercial projects at very competitive prices. As a craft handed down father to son, Hans Bieri Custom Woodwork creates a variety of styles including classic pieces. Furthermore because we make our own doors, your units and cabinets can be of any size. 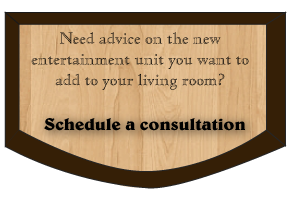 Design the cabinet, vanity or entertainment unit you want, and we’ll build it. A free consultation is also available if you’re struggling with ideas. We can visit your location to assess the space and take measurements. We can suggest woodwork designs and possibilities that fit your room and budget. Samples of wood are available, so you have the opportunity to match your new woodwork with your existing décor. Schedule a free estimate or consultation today and get started designing your new woodworks. 3 Year Warranty on Doors!